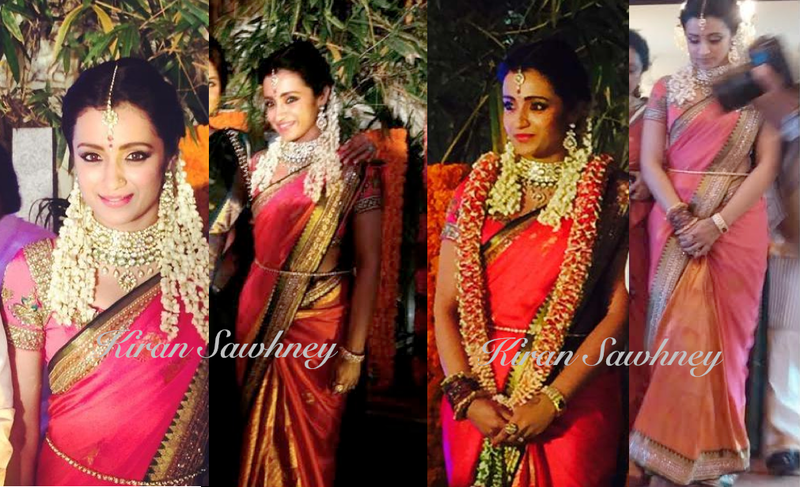 South actress Trisha Krishnan got engaged to a businessman Varun Manian. The bride to be wore Neeta Lulla custom made sari. This is a sure formula to touch our heart- Mogra flowers in the hair, traditional sari, kamar band (waist band), bindi. We do not get to see this very often in North India. This is our favorite look.